glee in new york. 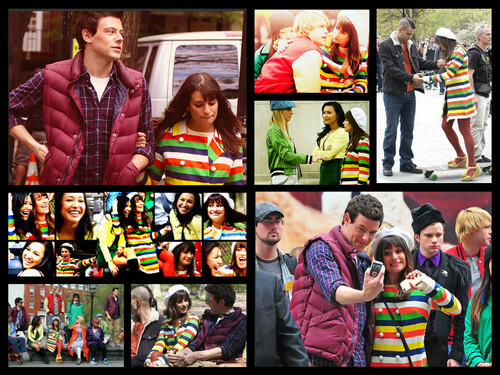 fijchel,pezberry,samchel,and of course pucklberry. HD Wallpaper and background images in the Finn & Rachel club. This Finn & Rachel fan art contains ڈاؤن لوڈ ہونے والے, مزاحیہ کتاب, منگا, کارٹون, ہالی ووڈ, and کامک بُک. There might also be داغ گلاس ونڈو and داغ گلاس دریچہ.